5th October 2017, The collaboration between The Italian Trade Agency (ITA) with Bologna Fiera and Cosmetica Italia and the support of Malaysia External Trade Developement (MATRADE) organized a Cosmoprof Worldwide Bologna Presentation for the first time in Kuala Lumpur. Thanks to their invite, us bloggers were able to meet various beauty platforms as well being informed on our Malaysia's import and export trades. Cosmoprof Worldwide Bologna 2018 would be commencing from 15-19 March in Bologna,Italy and it is the most important B2B Beauty Event in the world since 1967. It also represents all the segments of beauty industry: perfumery and cosmetics. Abu Bakar Yusof, Director of Lifestyle, Life Science & Medical Devices and Pharmaceutical Section, MATRADE and Mawarni Hassan, Federation of Malaysian Manufacturers and was valuable for the beauty industry, professionals and trade businesses to promote the export and import of cosmetics and beauty products. 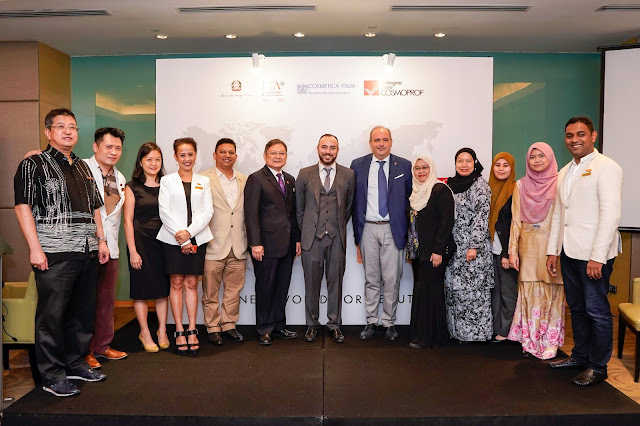 Mr Abu Bakar Yusuf on behalf on MATRADE also announced that they will look into consideration to build a Malaysia Pavilion at Cosmoprof Worldwide Bologna in 2019 to leverage greater opportunity for Malaysian business to tap the European market through Italy. He also stated that this year Imports on Beauty products has increased so much that he would like to encourage and stated that MATRADE would help Malaysian companies that would like to expand their brands in the international market. 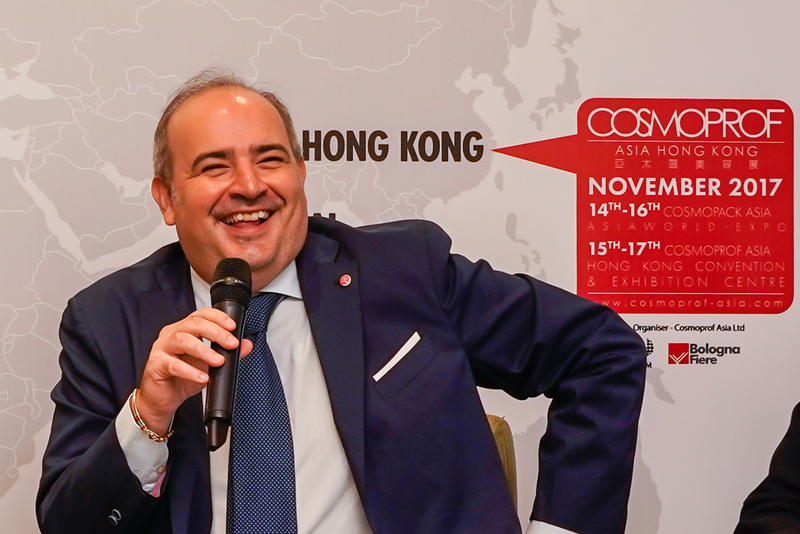 “Following a process started in the past editions, Cosmoprof Worldwide Bologna 2018 will continue its evolution to a “tailor-made” event, thanks to a clearer diversification for areas and initiatives according to the professional profile of our visitors. Exports to Europe and issues on taxes are also dealt with for smooth operation,” said Mattia during his presentation to guests and members of the media. Do you know that Italian exports of cosmetics to Malaysia amounted up to EUR 8.1 million in 2016, making Malaysia the 57th largest importer of Italian cosmetics (out of 177 countries considered by the Italian National Institute for Statistics). 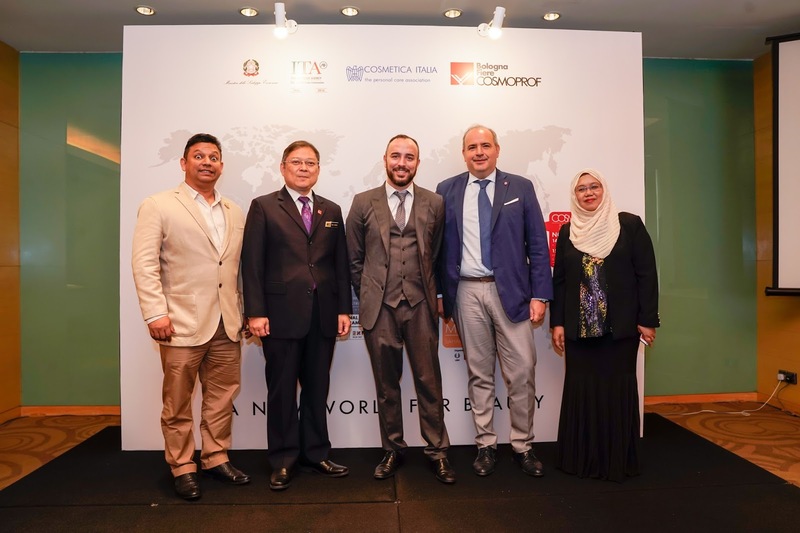 In particular relevance are the Italian exports of perfumes, which in 2016 registered a growth of 5% compared to 2015 and amounted to 35% of the total value of Italian exports of cosmetics to Malaysia, with brands like Prada, Versace and Bvlgari. Moreover, in 2016, imports of cosmetics from Malaysia reached EUR 1.6 million, with a 326% increase compared to 2015 which strengthened the already sizeable trade between the two countries in the sector and made Italy a more important destination of Malaysian cosmetic products. Puan Mawarni Hassan Federation of Malaysian Manufacturers and was valuable for the beauty industry, professionals and trade businesses to promote the export and import of cosmetics and beauty products later then gave a speech on the Halal market industry explaining the meaning of Halal, process of obtaining the certification and the difficulties of it. The advantages of Malaysian beauty skincare is that being in Malaysia, the effort in getting a Halal certificate would be easier than those abroad. Through the COSMOPROF, Companies that produces Halal skincare will be able to target a new niche of the muslim communities throughout the world which is increasing.She also stated that Indonesia has future plan to ban non-Halal cosmetics to be sold in the stores giving a pathway for Malaysian companies to expand more abroad. Lastly, Dr Baskaran Kosthi gave an inspiring speech on the Malaysian Association of Wellness and Spa (MAWSPA) about their new idea of branding our own Malaysian Massage known as URUTAN MALAYSIA. " Balinese Massage and Thai Massage is well known internationally but not our Malaysia's massage " stated Dr Baskaran. 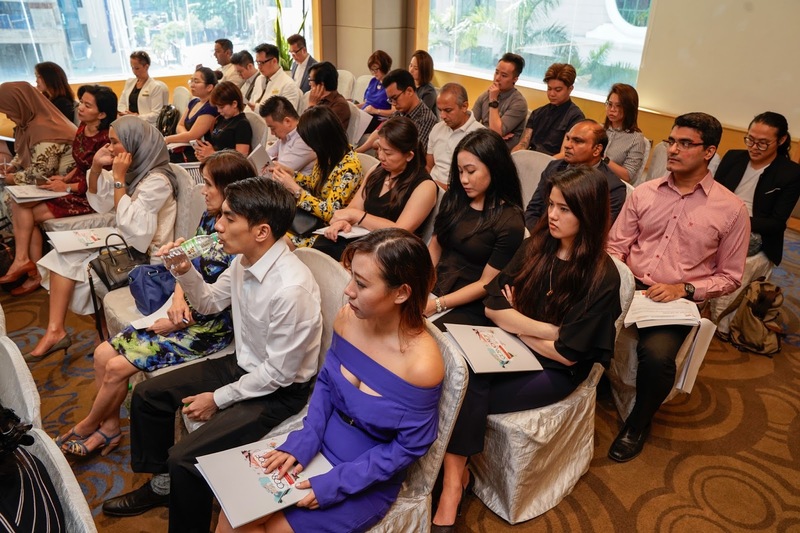 They have finally combined a Massage technique derrived from the multiculture Malaysia and will be proud to launch and promote our URUTAN MALAYSIA in the International Market. This effort would be a great boost for spa related companies to promote our Malaysia's organic beauty products in the European Market which Cosmoprof comes in the big aiding picture. The 51st edition of Cosmoprof Worldwide Bologna will take place in Bologna,which represents all the segments of the beauty industry: perfumery and cosmetics, machinery, raw materials, packaging, contract manufacturing, aesthetics, hair care, nail, wellness and fitness. At Cosmoprof Worldwide Bologna 2018, companies are able to create new acquisitions, strategic alliances in the international market, and keeping up-to-date on new trends and innovative ideas. Vast numbers of exhibitors, visitors and buyers from overseas are turning this event, year after year, into a proper international “hub” where professionals and decision makers meet to develop their business. 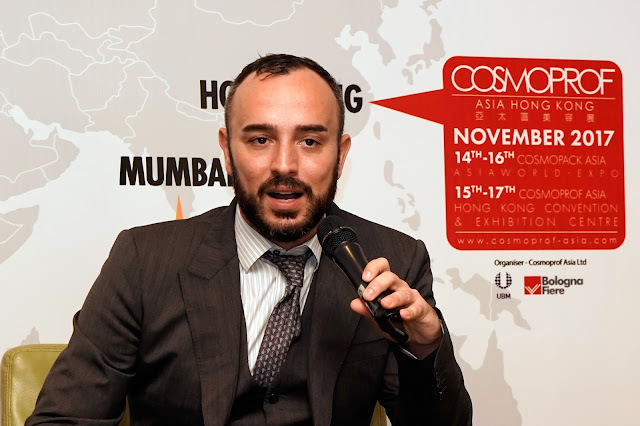 Cosmoprof is not only in Bologna, but also in Las Vegas, Hong Kong and, from 2018, Mumbai( Future). Cosmoprof has signed joint venture agreements with international organisations to create new top-level trade fairs throughout the world, testament to the company’s internationalisation strategy: Cosmoprof Worldwide Bologna, Cosmoprof Asia (Hong Kong), Cosmoprof North America (Las Vegas) and Cosmoprof India (Mumbai). The Cosmoprof network today is a huge global community, made of: • 6,600 beauty companies from 160 countries • Over 360,000 professionals from all over the world • $70 million of total revenues in 2016. CLICK HERE TO Link to COSMOPROF Website for information on their Tickets, Booths,Exhibitors, Buyers and etc. MATRADE for advices and assitance on how they can asist your brands to grow internationally. Contact : BolognaFiere Cosmoprof S.p.a.
Do you know that Malaysia has imported more beauty products than exporting especially this year 2017 ? Attended the presentation of Cosmoprof Worldwide Bologna today and am excited about how #cosmoprofbeauty is able to open the gates for Malaysian Beauty Brands to get Global and Big Internationally ! Stay updated on my Blog for more details on how your brand can grow through #CosmoproWW #cosmoprofmy and thanks @cosmoprofbologna for the invite today.